Content marketing is all the rage right now and for a good reason. 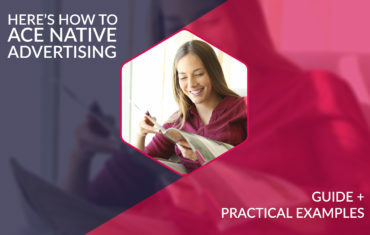 Publishing and distributing great content helps brands to get the attention of their target audiences, drive engagement, and earn their loyalty. Brands have been successfully using expert content to position themselves as thought leaders in their fields and build trust in their expertise. Now, much of what we wrote above sounds like something coming from a B2B perspective. Can content marketing work just as well for the B2C sector? B2B and B2C marketing strategies are entirely different because these sectors operate by different sets of rules. Moreover, things also change once you’re talking about a B2C business that works exclusively online. Much of what you’ve heard about content marketing might work for B2B, but not necessarily apply to the B2C sector. 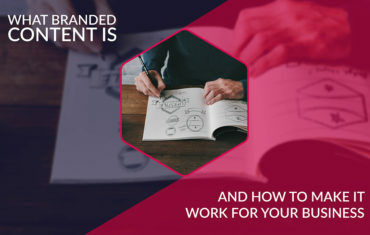 That’s why we decided to line up four essential steps to help you develop a content marketing strategy for e-commerce purposes and bring your brand to the forefront of your niche. If you been keeping an eye on content marketing, you probably noticed that the vast majority of content out there is focused on how-to blog posts because they work so well. However, the approach brings best results in the B2B sector. What about B2C? Many consumer-facing brands decide to tell stories that help sell their target audiences on the lifestyle of their brand. We all know that consumers make purchasing decisions on the basis of emotions and well-designed branding activities can help generate the right emotions around your brand. 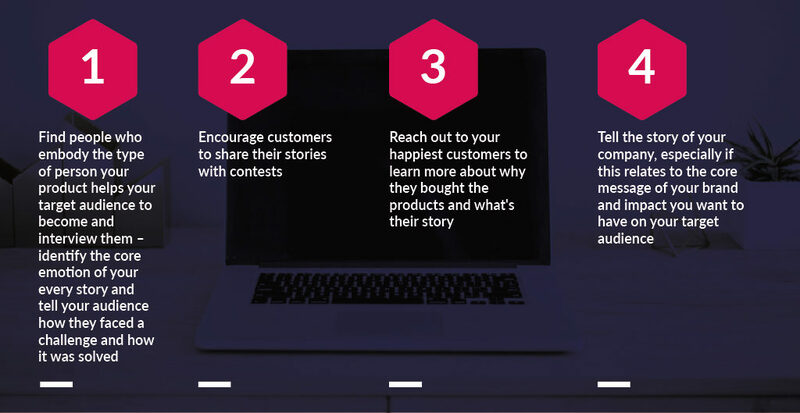 Associating your brand with these types of stories will help you build a solid brand image, boost consumer loyalty, and attract new customers to your brand. There is one advantage in-store shopping will always have over online shopping: interactivity. To put it simply, shopping at a real brick-and-mortar store in a much more fun and engaging experience for customers. There’s a reason why so many people consider shopping therapeutic or something they do just for fun. 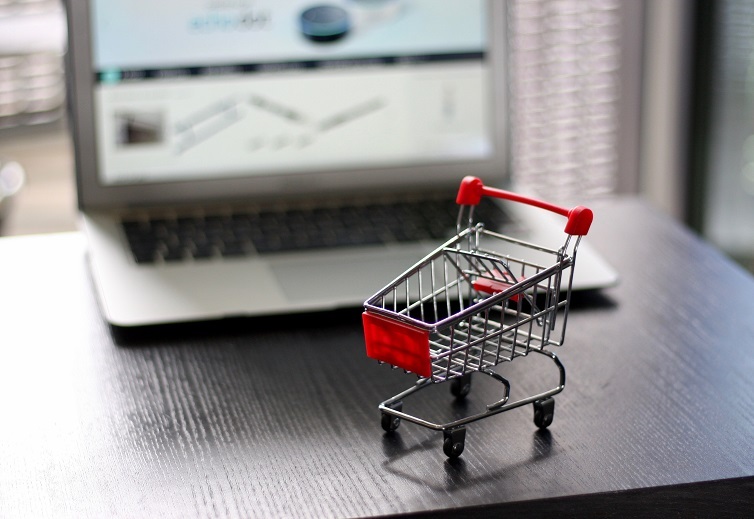 So how can e-commerce retailers stand up to this challenge? By investing in interactive content. It’s a smart move because not many online retailers are doing that and you can stand out from your main competitors easily. For example, the well-known cosmetic brand Sephora developed an app called the Sephora Virtual Artist where users could apply makeup to get a better idea of what type of products would look good on them. All it takes is some creativity in your marketing approach, and you’ll be able to take advantage of these formats. Interactive content stands out from the crowd and proves to be more memorable than static content. Identify the problems of your target audience that are closely associated with what you’re selling. Brainstorm content ideas including mobile and web platforms. Identify the keywords associated with the problem, as well as the interactive features of your solution. Create a dedicated landing page for your interactive content. Place a Call-to-Action to that page on your website, related product pages and other content such as blog posts. It’s essential that use scattered Call-to-Actions throughout your site to maximize the exposure of your new feature. Get in touch with influencers who could help you in promoting your interactive content and share it on social media. If you think email marketing works only for the B2B sector, you’re missing out on an fantastic promotional channel. 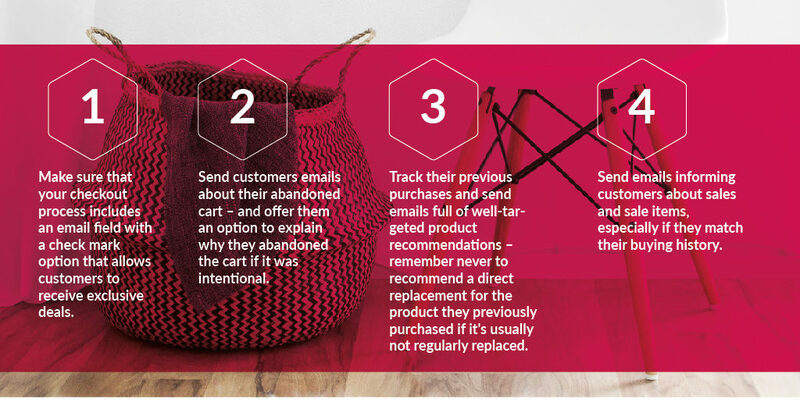 Customer retention is one of the critical goals for online retailers because most of the time a one-time fails to bring the results they want. You can have your content marketing strategy help you in customer retention through email. All these email marketing strategies will help you keep in touch with your target audience and boost their brand loyalty. That might sound a little counter-intuitive. After all, by aligning your brand with one political option, your automatically alienate a segment of your target audience who doesn’t agree with it. However, today everything is politicized which means that consumers may react much more strongly to brands that dare to take a political stance on different issues. Now, if you don’t want your image to be connected to a cause, you can avoid that strategy. But that type of marketing can work brilliantly in the right situation. And you don’t need to pick a cause which is very controversial and might alienate a considerable chunk of your target audience. For example, consider the activities of environmentally-friendly brands like Tesla or the outdoor brand Patagonia. For example, Patagonia shared some quite radical posts on Instagram that have been received very well by many of its followers. But there’s a range of actions you can take when promoting your brand as one that cares about the environment. Make sure first to conduct careful customer research to ensure that your message resonates with your targets. If there’s a cause that sounds appropriate for your brand to support, consider incorporating it into your content marketing strategy – even if it risks the potential alienation of some customers. The public attention and customer loyalty you’ll be getting in return is definitely worth it. As you can see, content marketing for the B2C sector is more about brand identity and customer experience rather than practical advice and knowledge sharing. However, the classic approach to content marketing where you identify the problems of your target audience and produce content that helps them solve these issues can be very valuable for e-commerce. Just make sure to do it all in a style that elevates your brand and makes it more attractive in the eyes of your customers. 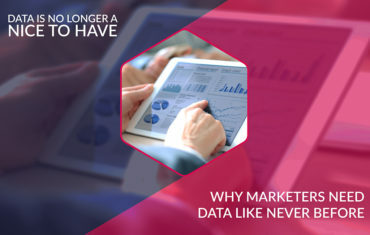 Invest in creating memorable experiences with interactive content, incorporate storytelling to your strategy, and develop a unique email marketing tactic to stand out from the crowd and establish a meaningful relationship with your target audience thanks to content marketing.